Tarvares Lester Killed in Macon Motel Shooting; Was This Tragedy Preventable? Did a security failure contribute to this Macon motel shooting and is justice available to the victim’s family? 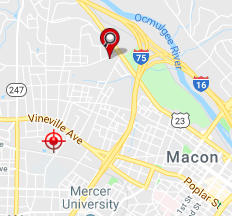 38-year-old Tarvares Lester was reportedly shot and killed outside a Macon Econo Lodge Sunday afternoon, May 6, 2018. 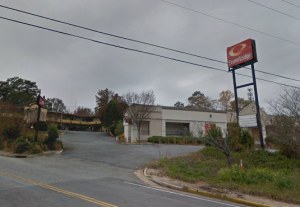 According to The Macon Telegraph, officers responding to gunfire “at the Econo Lodge at 1990 Riverside Drive” discovered Mr. Lester “in the driveway of the motel.” Police are now searching for a 26-year-old man in connection with the shooting, per WGXA reports. Was negligent security a factor in this senseless Macon motel shooting and could this incident have been prevented? Read Our Legal Take below to find out if Mr. Lester’s family may have legal avenues for justice and claims for substantial compensation in Georgia. Motel guests have a right to feel safe and secure while on the premises. The Murray Law Firm questions the level of security provided at the property and whether this tragedy may have been prevented. Another fatal shooting occurred nearby on April 25, 2018, per Spotcrime.com reports. Was the motel owner aware of prior incidents of crime on or near property? If so, what additional security measures, such as ID-controlled entry, fencing, bright lighting, surveillance cameras, and security patrols, were implemented to deter crime and protect guests? By law, property owners in Georgia are required to protect all those legally on the premises from any foreseeable harm. Should the facts of this matter reveal that the motel owner or management failed to provide adequate security, the family of Tarvares Lester may seek justice and elect to pursue legal claims for his wrongful death.